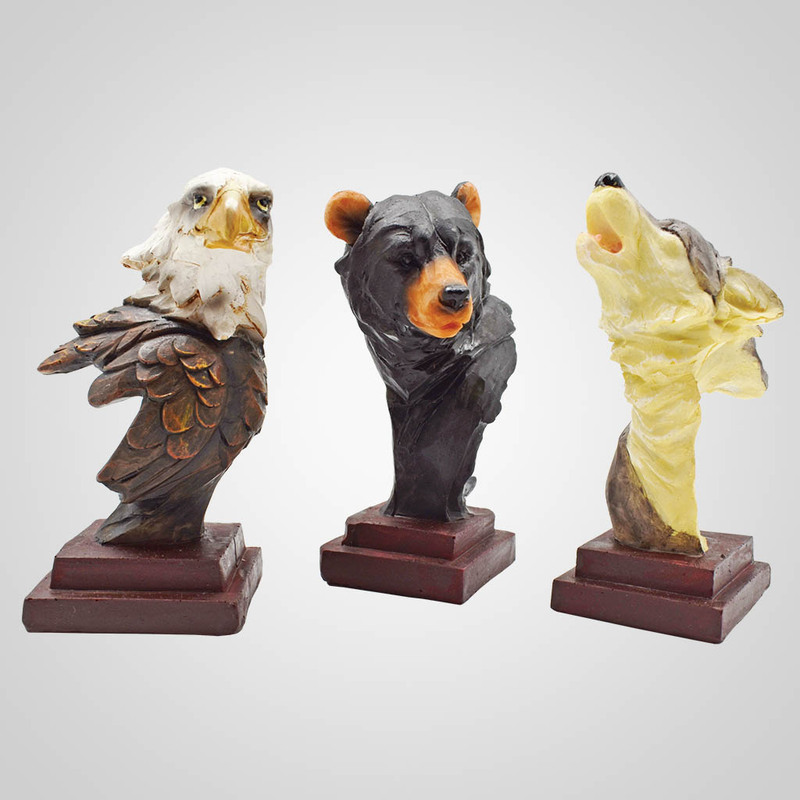 Eagle, bear and wolf bust figurines. 3 assorted. Poly resin, 2.5 x 4".